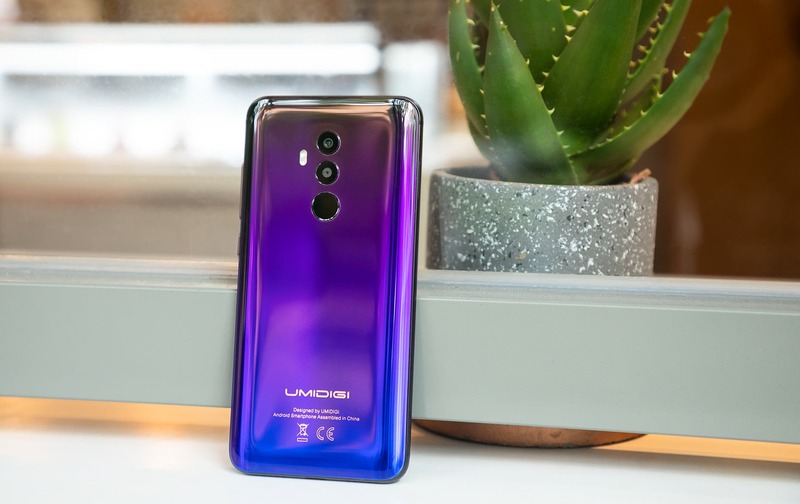 UMIDIGI has just officially unveiled the UMIDIGI Z2 Special Edition, a stunning phone with the now popular notch and an eye-catching Fantastic color on the back. The screen-to-body ratio is said to top at an impressive 90 percent, thanks to the notch and the 6.2-inch display, which is squeezed into a tall 19:9 aspect ratio that makes it very comfortable to hold with one hand. The UMIDIGI Z2 is equipped with an Helio P23 chipset, containing eight Cortex A53, max CPU frequency 2.0 GHz. It supports 18W fast wired charging. It has 4GB of RAM and 64GB of internal storage, dual 16MP+8MP cameras on both sides make a quad camera setup, the main camera sensor is flagship level S5K2P7 with f/1.7 big aperture. Meanwhile the secondary camera sensor is S5K4H7, so with the dual camera setup you can potentially capture pretty nice photos in any situation and get a decent bokeh effect. Also, the phone supports global bands, with a total of 36 bands, 7 internet modes and runs the latest stock Android 8.1 out of the box. 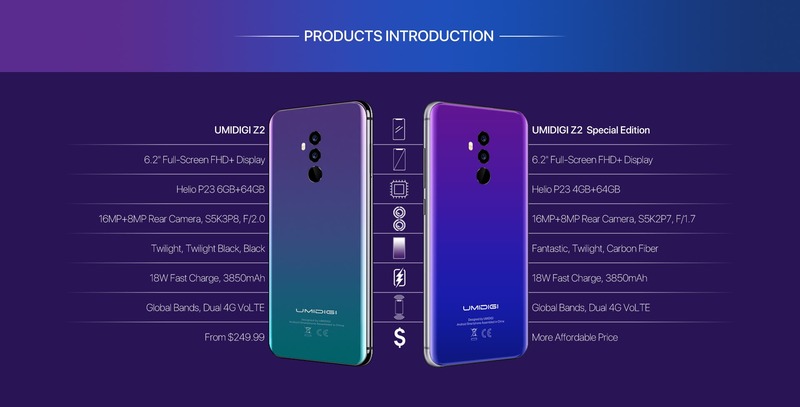 So, what are the differences between the ordinary UMIDIGI Z2 andthe UMIDIGI Z2 special edition? Firstly, the UMIDIGI Z2 special edition equips 4GB of RAM compared to the 6GB of the Z2. Secondly, the UMIDIGI Z2 special edition equips a matte frame while the Z2 adopts a glossy shiny frame. What’s more? The new quite eye-catching color for UMIDIGI Z2 Special Edition. The “Fantastic” color brings a dazzling look, which in the company’s words is “the latest achievement in pursuit of a perfect color and a new stunning design”. So, UMIDIGI insists the phone should look beautiful, just like a piece of clothing. I guess at this point you’re really curious to see what it looks like. Check out the video below! Albeit it looks quite nice, the UMIDIGI Z2 special edition is equipped with less RAM compared to the ordinary Z2 which costs $249.99, so we expect the Special Edition to be even more affordable than that. Stay tuned on GizChina as more info and updates are likely to come out very soon. On a side note, UMIDIGI are now globally recruiting 10 trial users for the UMIDIGI Z2 special edition. The trail users should help with testing devices for the first time and give feedback to UMIDIGI engineers. Everybody has a chance to become a trial user and just need to complete some steps and a little bit of luck. You can check all specifications of the UMIDIGI Z2 special edition and join the trial users’ activity right here.